Louie Lighting, Inc. was founded in 1993 by award-winning lighting designer Arie Louie. The company is focused on Architectural Lighting Design and has received numerous accolades recognizing its commitment to design excellence. The LouieLighting.com online store was launched in 1996, selling the same products that Arie Louie uses in his designs. LouieLighting.com is dedicated to personalized service and expertise while providing brand name and custom lighting fixtures with the best pricing standards. We provide our services to private individuals as well as design and trade professionals. Providing our customers with the highest quality lighting fixtures, courteous service and excellent customer support is our objective. Visit us today to view manufacturer catalog pages, professional line drawings, high quality images and more. Our vast selection of products are at your fingertips. Inspired LED LLC is an LED manufacturing company specializing in low cost, high efficiency, low voltage LED lights for under cabinet kitchen lighting, home interior lighting, accent lighting, industrial/commercial lighting applications, outdoor lighting, and so much more! Inspired LED also offers FREE design services for those who are unsure where to start.Majority of out products are manufactured in the United States of America, and distributed worldwide. The LED lights are affordable and very easy to install. We pride ourselves in our customer service and work directly with consumers, electricians, contractors, distributors, and vendors. See our website at www.inspiredled.com. View our online Catalog here: <a rel="nofollow" target="_blank" href="http://online.pubhtml5.com/zhtt/ogkj/">http://online.pubhtml5.com/zhtt/ogkj/</a> . For more information, please contact us at orders@inspiredled.com or, call us at 480-941-4286. We specialize in manufacturing superior quality antler lighting from real as well as fabricated antlers. Each piece is skillfully assembled by hand and designs are as unique as the natural contours of real animal antlers. Wires and light settings are all seamlessly threaded through the antlers, hidden from view, so that all you see are beautifully made and flawless antler chandeliers that are perfect for installation right at the center of your den, living room, dining area, or even your bedroom. The Amazing Flameless Candle® seamlessly combines traditional wax candles with modern convenience, bringing you superior ambiance to any location. Our hand-crafted candles are beautiful on and off, blending with your surrounding decor any time of the day, while eliminating the risk of smoke, open flames and hot wax. Each of our amazing candles lasts for years, making them a staple in your home decor or a perfect gift idea. Each wax candle is individually hand-poured wax to ensure no two candles are the identical. They provide a safer environment for your home or office and offer the convenience of remote compatibility and on-board 4, 6 and 8-hour timer options to fit your lifestyle. Shop our product catalog in the Houzz marketplace or on www.flamelesscandles.com. Akari Lanterns produces a wide variety of unique decorative hanging pendant lamps and lanterns. Our lanterns provide a beautiful ambiance to any room or event. Most of our customers hang these lanterns from their ceilings but we also have some that hang them outdoors in and around their patio. We are always working on new designs and sizes. We started making these several years ago from thick paper and then switched to a thin plastic for durability. These lanterns come fully assembled with a cord, bulb socket, light bulb and mounting hardware. If you need a specific color or size, please contact us directly and we would be more than happy to help you. Replacement globes for outdoor lamp posts, lighting fixtures and accessories. We are an international design firm that specializes in residential and commercial lighting and interior design. With the help of hundreds of well researched manufactures at our disposal we will transform your environment into a space that has style, comfort and sophistication. Our family will work from concept to completion to make your dreams a reality. Lanternland creates high quality, handcrafted traditional brass and copper lanterns and lighting for upscale homes, vacation homes, cabins, lake homes and residential communities. All Lanternland lighting is Made in America from pure brass and copper, will never rust or corrode and is designed to last for decades. Don't see what you had in mind? Lanternland welcomes custom orders. Whether it is an historic recreation, your own design or a modification of an existing design, we welcome the opportunity to collaborate with you to bring your unique vision to life. Questions? Call us! ***Authorized Fredrick Ramond Dealer*** Valley Light Gallery Storefront Since 1976 Valley Light Gallery has been dedicated to providing superior Service & Selection. 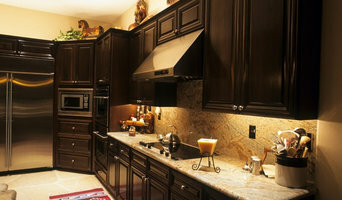 We are recognized as THE resource for today's premier builder and designer throughout the southwest. The sales staff has a combined 90 + years of lighting design experience, coupled with a dedicated outside consultant allows us to service your project from frame to finish. Dedicated, experienced professionals that can lend their expertise at virtually any stage of the process Reliable, on-time delivery Comprehensive knowledge of CC&R and City compliance code Clear communications from conception through completion. Paris Envy began as a brick & mortar home interior shop in downtown Phoenix circa 2007. We offered restored vintage furnishings alongside handcrafted decor and gift items.Always most popular were our original and custom made light fixtures. Hinkley's Lighting Factory has been a family owned and operated business for over 100 years. Our facilities include our Phoenix Lighting Store - a 10,000 square foot showroom - located at 4620 N Central Ave, Phoenix, AZ and our Scottsdale Lighting Store and Custom Factory - a 3,500 square foot showroom and custom manufacturing facility - located at 16049 N. Geenway Hayden Loop, Scottsdale, AZ 85260. Our factory in Scottsdale manufactures light fixtures for the national and international market, as well as our local Arizona customers. We also have recently opened The Studio - a 2,500 square foot showroom which features a gallery of our many lines of contemporary lighting fixtures, including sconces, pendants and chandeliers. The Studio is located next door to our Phoenix location. Our showrooms display over 4,000 fixtures combined and we can design and manufacture custom fixtures to your specifications. Hinkley's Lighting Factory is a complete wholesale and retail lighting center. Our inventory and accessibility to over 300 product lines includes exquisite crystal chandeliers and rustic iron chandeliers, contemporary fixtures, exterior fixtures, ceiling fans, lamps & lamp shades, floor lamps, track lighting, recessed lighting, pendants, flush mounts, sconces, and a unique selection of rare antiques. Our projects include the finest custom homes, commercial buildings, national hotel chains, restaurants, and tract homes. Hinkley's Lighting Factory has a knowledgeable staff and an extensive inventory that will fulfill your every lighting need. It is our policy that our customers come first and that our pricing be competitive. Allow us the opportunity to prove our claim. We can make arrangements for an in-store consultation or for your convenience we can come to your home or jobsite (Metro Phoenix-Scottsdale Area Only). We work after hours by appointment only. Hinkley's Lighting Factory offers courtesy to the trade. When you think of lighting or a lamp store, think of Hinkley's Lighting Factory first! We appreciate your interest in the company and look forward to the opportunity to be of service to you. Think about how you plan to use each area of your Queen Creek, AZ home. It's important to communicate to your Arizona lighting designer which space will be used as an office and which will be a media room, for example, as these will require very different lighting methods. In addition, consider how you'd prefer to control the lights. Lighting technology today includes dimmers, sensors, photocells (that let lights react to the amount of daylight in a space), programmable scene controls (that let you program different settings for varied lighting) and whole-house lighting controls (that let you control all or a portion of your home's lights from one source), allowing you to tailor your lighting controls however you wish. Find a lighting designer on Houzz. 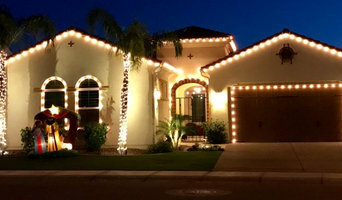 Narrow your search in the Professionals section of the website to Queen Creek, AZ lighting designer. 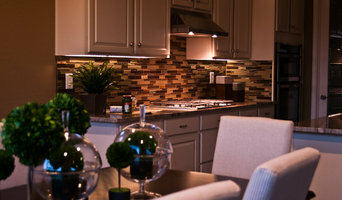 You can also look through Queen Creek, AZ photos by style to find a lighting design you like, then contact the designer.